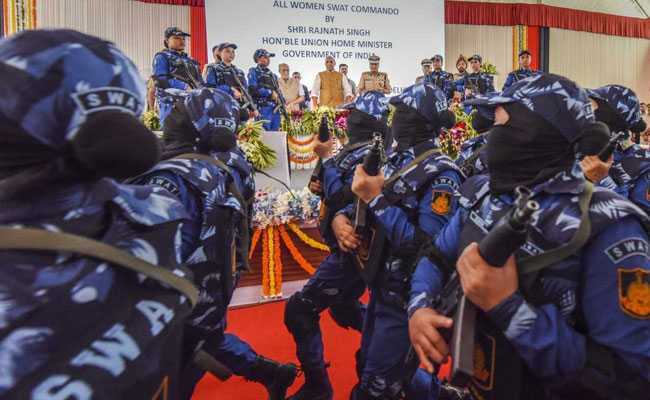 On August 10, the 36 women commandos of the Delhi Police's SWAT unit, were formally inducted and also displayed their blue-coloured uniforms. For fashion designer Ashish N Soni, designing uniforms for the "first all-women SWAT team" of the Delhi Police has been a journey full of excitement and pride. 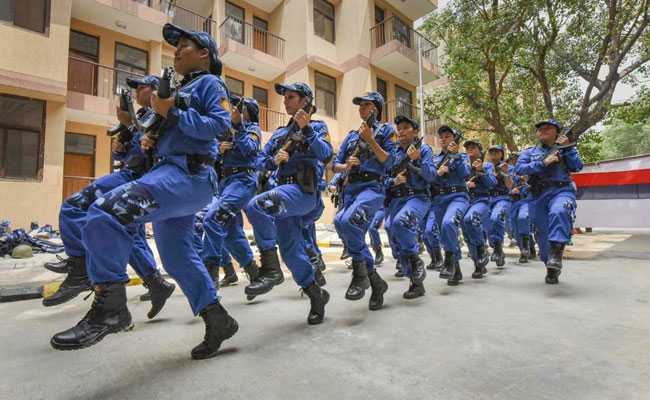 On August 10, the 36 women commandos of the Delhi Police's Special Weapons And Tactics (SWAT) unit, were formally inducted and also displayed their blue-coloured uniforms. 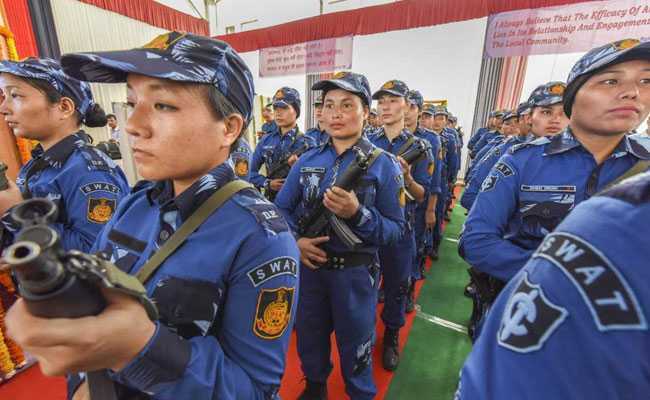 The northeastern women, who form the SWAT, were happy to don the designer uniform that would help them in shattering the various misconceptions about people from the northeast. Mr Soni said the entire process of designing the uniform took him four to five months of research and brainstorming. "It was quite a process from start to finish -- from small small things like buckles, to getting the right manufacturers involved, getting approval from the officers in the force," he said. Ashish Soni also interacted with the women in the run-up to designing the uniform and sought their inputs on what they wanted. "It has been a matter of pride for me. I have been getting a lot of congratulatory messages. This is something you feel good about as a citizen of Delhi," he said. He said he had two objectives while designing the uniform -- to make them feel good about what they are wearing and to help in their identification as an entity in case of a crisis situation. "The idea of having blue colour in their uniform was by the police commissioner (Amulya Patnaik). It is a colour that works in all seasons and we worked it into the SWAT team's uniform. We wanted to make the uniform at par with the uniforms abroad so a lot of research went into it. I also wanted to keep it vibrant," the designer told PTI. The material of the uniform is polyviscose, and is different from the traditional polyester. "It is different from the material of your khaki uniforms. It is easy to wear, comfortable and does not stick to the body during summers. I had to ensure that the uniform was easy to put on, durable and conducive for both winter and summer," he added. Sanjeev Yadav, Deputy Commissioner of Police (Special Cell) said the Delhi Police commissioner wanted a new uniform for the SWAT team and they researched on the internet but did not find anything appealing. "Then we called Ashish to help us. He gave us many proposals and finally we selected this," he said. 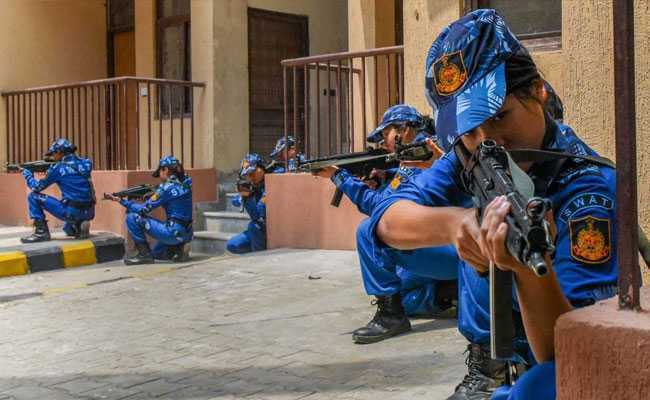 The all-women SWAT personnel are equipped with AK-47 rifles, MP5 machine guns, Glock 17 or 26 pistols and corner shot devices for enhanced night vision. The women commandos were also trained in Krav Maga, which is a self-defence system developed for the Israel Defence Forces, the police said. Sonira, a member of the SWAT team, who belongs to Sikkim said, "It feels good that I was chosen for this. I have been in Delhi from 2016 and I have felt that we get strange looks when we step out while we are not in uniform." "Once I had gone to the market with my friends and someone called us 'Chinky'. I gave him a stern look and he fled. I hope to change the perception of people." Devika Kshetri, who belongs to Sikkim, concurred with Sonira and said she has been cat-called by men on motorcycles while not being in uniform. "Many people used to ask me 'Are you from Nepal?' But now when they see me in this uniform they are like, 'We could not do anything while being in Delhi, but you have done so much despite coming from the northeast'." She said that she wants the people to know that the northeast is a part of India and they are not outsiders. Tulika from Assam, who underwent a rigorous training to become a SWAT commando said, "It is a feeling of pride to don the uniform. Even though it is difficult task to change people's set notions but we can try that through our uniform."